Cormac McCarthy holds a unique position in the literary community: Practically untouchable. He has both the guts and the gumption to wade into drowning pools that other authors can't dip a toe in. McCarthy is well known for his acute sense of southern darkness, often writing about the depths of depravity people have sunk to, putting a magnifying glass to the appalling violence humans engage in on the fringes of civilization. He does so with a wisdom and unflinching eye rarely found in literature. 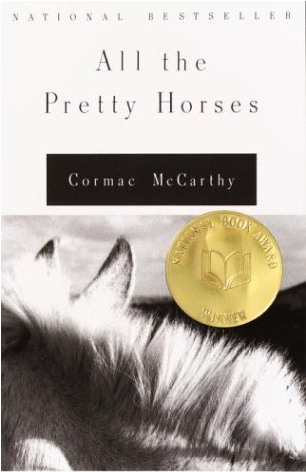 'All The Pretty Horses' is yet another short brilliant novel from the man whose ability to immerse us in the horrors and hope of the human condition is legendary; one of the undisputed masters of the written word.